Unelected eurocrats hijack sovereign states? 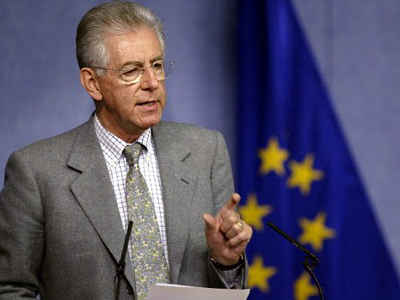 In Italy, former European commissioner Mario Monti is forming a new cabinet to tackle the country’s debt. As technocrat governments take over in Greece and Italy, are the leaders nobody voted for likely to do a better job than the old crew? 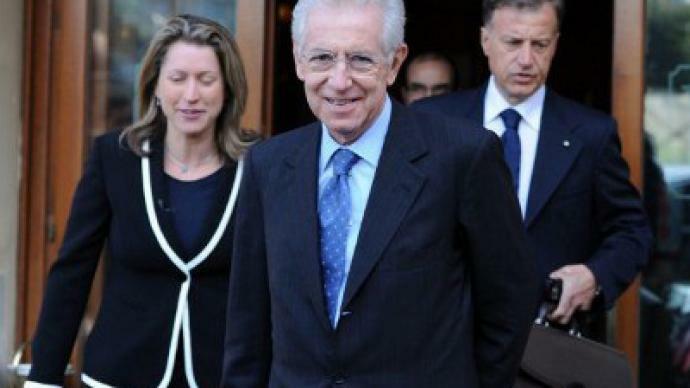 ­The economist and former European Union competition commissioner Mario Monti has agreed to start forming a new Italian government. He said he would get to work immediately and "with a great sense of responsibility and service towards the [Italian] nation," as cited by the Associated Press. 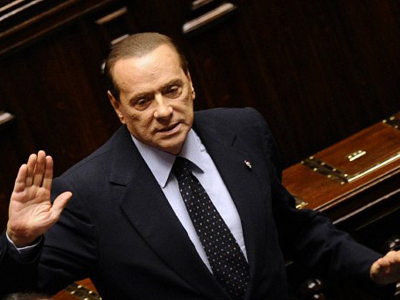 Italy’s outgoing prime minister, Silvio Berlusconi, resigned on Saturday after the Italian parliament approved new austerity measures demanded by the European Union. And Mario Monti, who received a formal mandate from President Giorgio Napolitano, now faces the real challenge of preventing an Italian default that risks tearing apart the entire European Union. The project that sought to unite Europe, 17 countries of which now share a single currency, attracted fierce criticism from the very beginning. Some might now be wishing they had heeded the warnings as one after another of the member states begins to wobble, with Italy being the latest to come under scrutiny. The crisis has so far seen the leaders of Greece and Italy replaced by people who were never elected to office, but who know their way around Brussels. 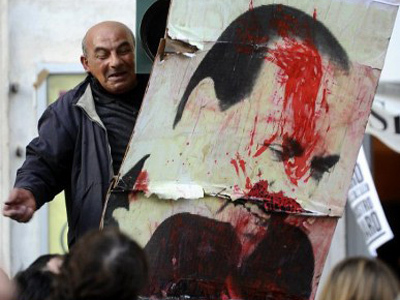 In Italy though, with Berlusconi gone, painful reforms now need to be implemented to meet tough EU demands. And for the first time since the crisis began, talks are turning to the possibility of members exiting from the euro, or the creation of a core Europe, with countries like Germany seen to be leading the way. However, some observers are warning against such a strategy. The growing sense of a bad euro group and a good euro group has not gone unmissed by struggling countries. And while it is clear that those who overspent must now face up to painful austerity measures, the sense of being treated like a naughty schoolchild has only added to the growing strain in the euro community. “If Italy now starts to ‘behave well’, so to say, they will increasingly expose France, and especially Germany, to the task they now need to be up to – that is, to express a political leadership now not just for their own countries but for Europe as a whole,” says Fabrizio Maronta. Euro tensions have not gone unnoticed by the financial markets which have punished the political leaders for dragging their feet in dealing with the crisis. Struggling economies like Italy are now caught in a situation which leaves them with no room for mistakes. 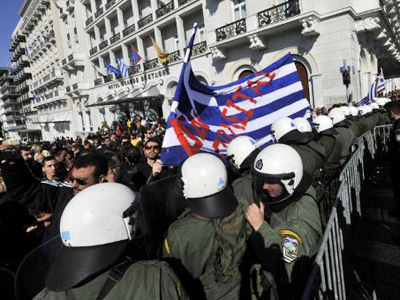 With new governments now being formed in Greece and Italy, the spread of Brussels’ influence within Europe is causing concern. And winning back public trust is going to be a vital challenge. Whilst dramatic decisions and changes have come thick and fast in recent weeks, the people have been left on the sidelines watching and wondering when or if they are going to be consulted. Italy is being considered by many as a test case for the entire eurozone. If it fails, it could bring the whole system crashing down with it. The question now is whether or not those measures can succeed or whether we will see them go the same way as the others put forward by the European elite, who have so far failed to come up with any credible euro rescue. ­Former deputy speaker of the Belgian Parliament, Lode Vanoost however has a very gloomy outlook on what the people who came to power in Italy and Greece are going to do. He is convinced that as they do not have to seek re-election, they are the ideal people to have unpopular measures. “We are now going to put in place bankers, people who caused the financial crisis in the first place. And they are going to so-called “solve it,” he told RT.” It is absolutely true and fair to partially blame the politicians [[for the crisis]]. But there are different groups, different political opinions, there is the opposition, there is the majority. You can not just blame “the politicians. Parliamentary democracy – and I had my experience – is far from being perfect. But it is the one system that is at least partially accountable. Bankers are not”. 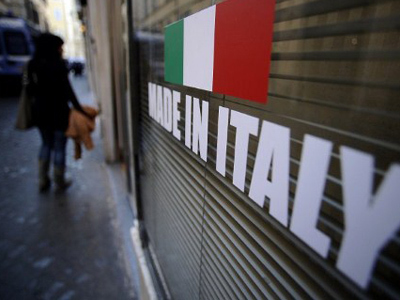 Italian crisis: Impossible to overcome while inside eurozone?